Each day, the world's urban population swells by almost 200,000. With every passing week, more than a million people new to cities face unexpected realities and challenges of urban life. Just like the sheer volume of people in the city, these challenges can be staggering. As with the height and breadth of our metropolises, the wonders of urban life can be breathtaking. Like the city itself, the questions and challenges of urban life are both sprawling and pulsing with vitality. 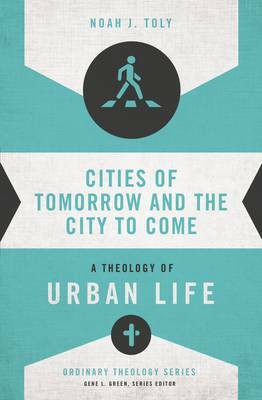 As part of Zondervan's Ordinary Theology series, this volume offers a series of Christian reflections on some of the most basic and universal challenges of 21st century urban life. It takes one important dimension of what it means to be human-that human beings are made to be for God, for others, and for creation-and asks, "What are the implications of who God made us to be for how we ought to live in our cities?" This book is intended for Christians facing the riddle of urban creation care, discerning the shape of community life, struggling with the challenges of wealth and poverty, and wondering at the global influence of cities. It is meant for those whose lives and livelihoods are inextricably bound up in the flourishing of their neighborhood and also for those who live in the shadow of cities. Most of all, it is meant for those grappling with the relationship between the cities of tomorrow and the glorious city to come.